I have been ignoring the blog for quite some time now but I have not been idle. 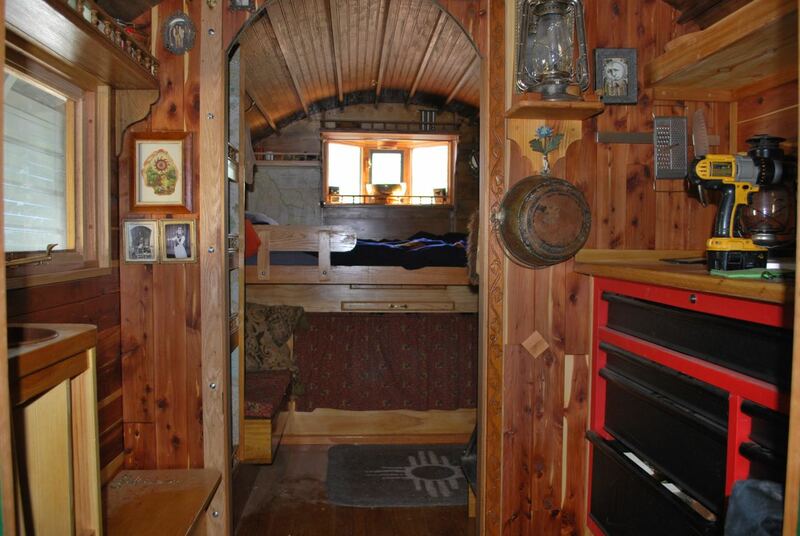 The vardo update project took on a life of it’s own and it feels like a complete renewal of the living space. In the coming month I hope to make a video tour of the new and improved house on wheels to show off the advantages and some disadvantages to the new setup. In the mean time, the exterior is getting new paint. Other facets of life have taken precedent and time has become a scarce commodity for me. I have drafted many posts but none to a satisfactory level for publication. Some will be discarded I am sure. Plans and dreams keep changing and circumstance has an enormous influence on events lately; mostly for the good. Finally, I’m not sure this is the best idea but a new blog may on the way. Cleaner, more focused, and a fresh start. Once it is fully operational I will share it openly. 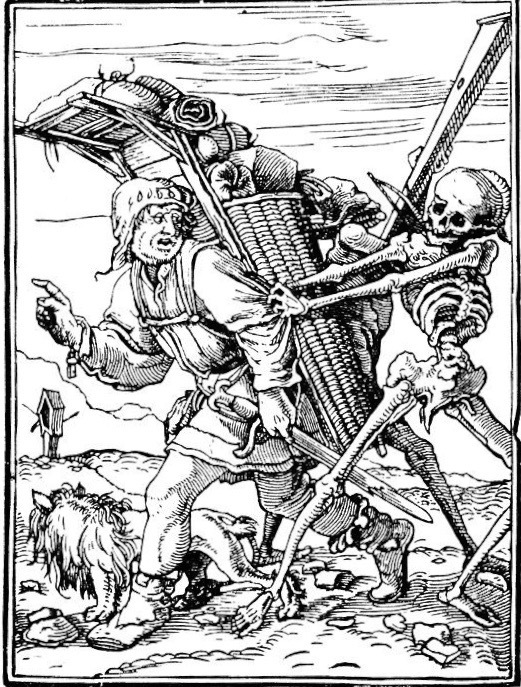 This image sums up how I feel some days lugging a burden and trying to escape. Death waits for no one and comes to us all. However, we can choose to move on to better places and surround ourselves with the right people before it catches up with us. Right living, good community, best choices. Go for it George, its looking great so far, mine is just about getting to the interior work. Hopefully first road trip is from MI to Ga in March, so I have to make the most of the time between. Its coming along. Welcome back, I’m sure the vardo is looking great. You once again manage to make a good point George…..a notable accomplishment, given what you have to work with. Wagon looks great. And yes, probably ought to have jumped on that BC one. Looks like Winter tenting for me again…. Jake Levi in the states? and things learned were worth it. Go! Do not wait for death, if you move often enough ye shall never feel the scythe.